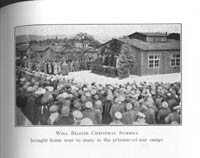 Instituting the Association's Four-fold Program in Prison Camps: From Saving the POW's Soul to "Keeping Body and Soul Together"
16 Individual secretaries did all they could to spread Christmas cheer. One American secretary hired an automobile and played Santa Claus. 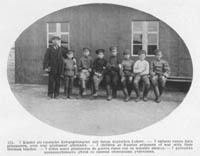 He drove between working detachments in his region, giving gramophone concerts and distributing books, pictures, games (chess, dominoes, lotto, and Halma), puzzles, mouth organs, Jews' harps, accordions, cigarettes, chocolate, small parcels, and Christmas cards as presents. A senior Russian prisoner passed the hat to give the secretary a small token of their appreciation as a Christmas present. Other secretaries purchased oranges and apples for the sick prisoners they visited. 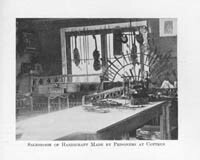 They arranged special seasonal concerts, vaudeville performances, lantern-slide lectures, and religious services. 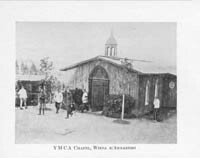 In several prison camps, the YMCA provided Christmas candles, trees, and bags of fruit. 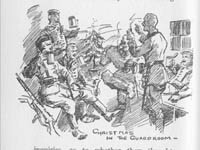 For example, the WPA field secretary assigned to Württemberg supplied the Christmas trees for the Allied prisoners in the military hospital in Stuttgart. 29 Association secretaries also addressed the problems of sick prisoners. While this type of relief fell under the purview of the Red Cross, the YMCA still took an interest in offering these men as much assistance as possible. WPA field secretaries visited POWs in military hospitals and offered them entertainment, reading material, religious books, cigarettes, and delicacies. Secretaries had dentists visit the camps; Michel had a prisoner's false teeth repaired at Darmstadt, which helped the POW eat properly. Association secretaries also tried to procure special food and fruit to augment the diets of sick prisoners. This was a difficult service because the Allied blockade caused a drastic food shortage in Germany. Where food was available, it could be obtained only at high prices. 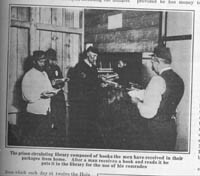 As a result, secretaries distributed oranges, apples, oatmeal, and bacon to ill POWs whenever such supplies were available. 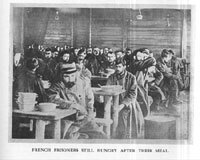 Secretaries also visited disabled and seriously sick prisoners who were about to be exchanged to Switzerland or Sweden. They provided them with a few comforts before their long trip and give them last words of encouragement and farewell. The secretaries strove to make their trip from Germany as cheerful as possible, and tried to ensure that their last thoughts were of the YMCA. 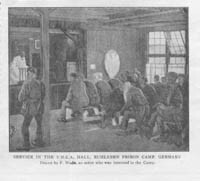 33 The American YMCA realized by May 1916 that, in spite of all the mental and spiritual comfort they could provide Allied POWs in Germany, the starvation creeping across the country would result in the deaths of thousands of prisoners unless steps were taken to alleviate it. The Allied blockade of Germany and the Dual Monarchy was established early in the war, and included foodstuffs as well as raw materials. Under the Hague Agreements, POWs were to receive the same rations as troops of the same rank of the captive power. 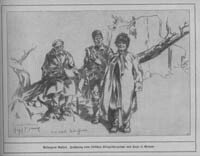 The Germans met this requirement during the early part of the war, but as the effects of the blockade began to affect the empire, the Germans had to cut back on domestic food allocation. 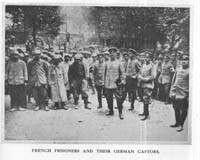 The government set up a food rationing program and progressively reduced food allowances to POWs as well as the German civilian population. 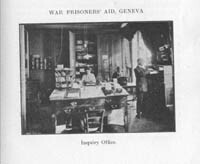 Only front-line troops and war industry employees received priority rations. 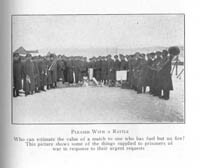 As stated earlier, the Red Cross Societies of Britain, France, and Russia were responsible for the physical well being of their nationals held in Central Power POW camps. 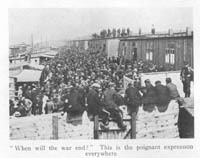 In addition, the Western Allied governments established official relief agencies to ease the suffering of the prisoners in Central Europe. 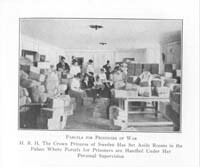 The Central Committee in London arranged for British prisoners to receive three ten-pound food parcels fortnightly, as well as supplies of clothing. 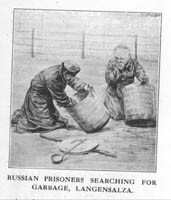 40 Russian, Serbian, Romanian, Armenian, and Italian prisoners were at the greatest risk of starvation. Their governments were overwhelmed by the war effort and simply lacked the resources to send food. Political disorganization in these countries further exacerbated a bad situation. Even before their country was overrun by the Central Power allies, the Serbian government had forbidden the forwarding of food parcels outside the kingdom's borders. 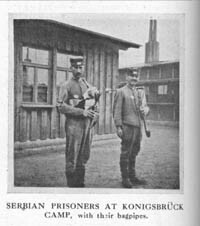 As a result, Slavic and Italian POWs had to survive solely on German food rations, and they suffered intensely. 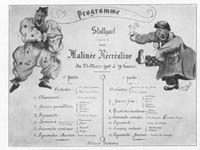 Hoffman reported that thirty to forty Russian and Romanian POWs were dying daily from starvation in the lazarette at Tuchel by the end of 1917. 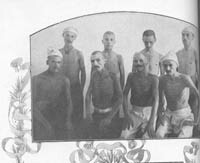 Lacking nourishment, the Slavic and Italian POWs became despondent and refused to participate in Association activities. They could not see the logic in learning how to read or developing a new trade if they would not survive their imprisonment. In response to pleas from the WPA field secretary to participate, they retorted with the demand, "Give us bread!" 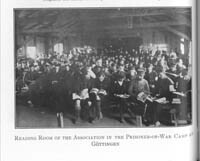 43 To solve the food shortage problems among POWs in Germany, the American YMCA realized that it was imperative for relief organizations to formulate a comprehensive plan. The Allied blockade threatened to starve out a large number of Allied POWs along with undermining Germany's war effort. 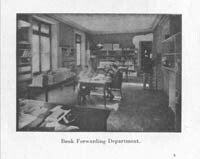 The International Committee decided in August 1916, after consultations with members of the Wilson Administration and international lawyers, that a large-scale plan had to be conceived, financed, negotiated, and implemented. It was clear that the United States was the only country with the resources to provide food on a large scale. 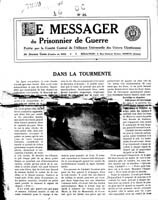 The International Committee helped establish a joint committee, called the Prisoners' Welfare Council, composed of the American YMCA, the Rockefeller Commission, and the American Red Cross in New York. 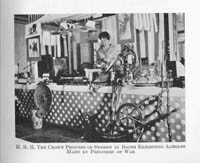 The American Red Cross and the Rockefeller Commission had already taken steps to set up a similar food export system to Poland to help alleviate starvation in the East. 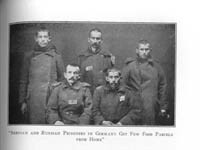 Ernest P. Bicknell of the American Red Cross and Wickliffe Rose of the Rockefeller Commission helped establish the Commission for the Relief of Poland, and these organizations recognized the dangers prisoners faced in Central and Eastern Europe from starvation. These relief organizations had a great interest in providing physical relief to needy prisoners. 47 Over the course of three years, the American YMCA's primary objective in Germany changed dramatically. Though originally sent to address the symptoms of "barbed-wire disease," as physical conditions deteriorated terribly in prison camps due to the Allied blockade, secretaries shifted the focus of their work. 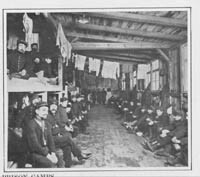 Their first efforts focused on making incarceration profitable for prisoners from a social and economic perspective, but eventually altered to striving to keep POWs in good enough physical shape to simply survive the war. The Red Triangle workers were about to face yet another major change in their objectives as Germany decided to renew unrestricted submarine warfare around the British Isles in January 1917. 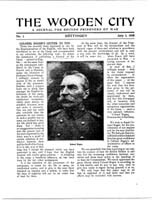 In the meantime, American secretaries set up similar WPA operations in Austria-Hungary. The next chapter will examine the Red Triangle relief work for Allied POWs in the Dual Monarchy.